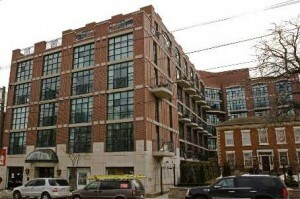 Bright & Spacious 2Sty Loft O/Looking Trinity Bellwoods Park. Main Floor Features An Updated Kitchen W/Granite Counters & S/S Appliances And An Open Concept Living & Dining Area-Perfect For Entertaining! 2nd Floor Master Suite Includes 4Pc Ensuite, A Separate Den And Gorgeous Floor To Ceiling Windows. Shows Beautifully!